Tips to help you plan ahead! 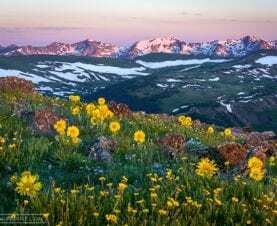 In 2018, Rocky Mountain National Park was one of the top five most visited national parks in the United States with over 4.5 million visitors. Popularity and high visitation during the summer and fall equals crowds. Particularly during 10 a.m. to 3 p.m. it can mean full parking lots, bumper to bumper traffic, busy trails, and long lines and wait times at entrance stations. Not what you had in mind for your vacation! The good news – with over 400 square miles of spectacular Rocky Mountain landscape in the Park, and over 350 miles of trails there is lots of room to explore. You can plan ahead, make strategic choices, beat the crowds, and enjoy your visit! RMNP is so popular for very good reasons. 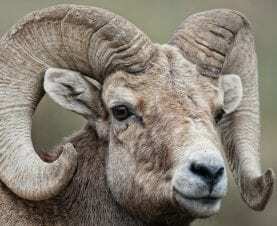 With over 100 years of tradition as a Park, families come back to visit again and again: to experience the beauty of nature, to seek solitude, to enjoy scenic views and crisp mountain air, to watch wildlife, and to recreate (especially to hike) in these majestic mountains. 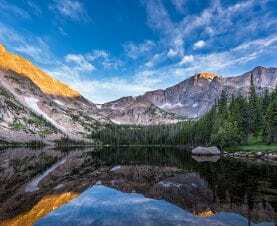 Rocky Mountain National Park is so accessible for Colorado Front Range residents (Colorado Springs, Denver, Boulder, Loveland to Fort Collins) that they love to head up into the mountains for the day, get out of the summer heat, and bring friends and family. It’s only a one to two hour drive. Park managers do their best to address the effect this level of visitation is having on visitor and staff safety, resources, visitor experiences and operational capacity. But the signs of strain are evident. Beginning in 2016, during the summer and early fall, park staff restricted vehicle access in three specific popular areas: the Bear Lake Road corridor, the Wild Basin area, and Alpine Visitor Center when parking areas fill and heavy traffic warrants. These restrictions occurred most days in July and August, in addition to weekends in June and September. That means that other areas of the park are now experiencing high visitation as well, particularly when these restrictions are in place. Join a guided trip. Local tour operators know how to navigate the crowds! There are educational bus tours, wildlife watching tours, photography tours, scenic tours, and adventure tours. Enjoy an active adventure other than hiking the Park trails where transportation and all the gear you’ll need is included. Horseback Trail Rides, Fly Fishing, Whitewater River Rafting, Climbing, Off Road ATV exploring, Mountain Biking – adventure choices are endless! 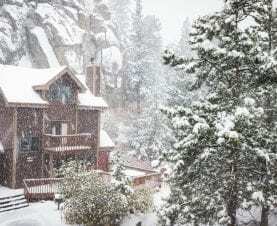 Take the free Estes Park Shuttle bus from your lodging and spend a day exploring around town in Estes Park. Kids will love the amusement rides, and adults the museums and art galleries. Start your day early – the earlier the better. You’ll beat the Front Range day-trippers who all come in cars and will need to park. Glacier Gorge Trailhead by 6:00 a.m.
Bear Lake Trailhead by 8:30 a.m.
Park and Ride by 10:00 a.m.
Wild Basin Corridor by 9:30 a.m. The Alpine Visitor Center parking lot is normally full between 10 a.m. to 3 p.m.
Take advantage of the free town and Park shuttle buses which run Memorial Day through mid-October. There’s free parking at the parking structure at the Visitor Center, and at the Estes Park Events Complex where there is room for larger vehicles like RVs or buses. If you want to hike in the popular Bear Lake Road corridor and plan to arrive after 11 a.m., your best option, and on some days your only option, will be to park in one of the large Estes Park visitor parking lots and take the Hiker Shuttle from the Estes Park Visitor Center. This shuttle runs every 30 minutes from the Estes Park Visitor Center to the Park & Ride on Bear Lake Road. Expect wait times to board the shuttles. An entrance pass is required to use the Hiker Shuttle. You can purchase a pass online. Your email confirmation will serve as your pass and should reduce transaction time once you reach the park entrance station kiosk. More than eighty percent of park visitors arrive through the Estes Park eastside entrances of the Park (Beaver Meadows, Fall River, and Wild Basin). Check the weather forecast before you arrive at the park to better plan your day and destinations. If you plan to hike later in the day, know the weather forecast for where you want to go. Afternoon thunderstorms with lightening are common in the mountains. Stay at lodging with hike-in access to the Park. You won’t need to hassle with parking your car! Camping is popular in the Park. Reserve a campsite up to six months before your visit. The two first-come, first-served campgrounds fill up quickly. Timber Creek Campground, located on the west side of the park, fills up last. Visit our Camping Blog for complete camping information. In general, the most visited days in the Park are on weekends June through September, so consider visiting on a weekday. The only restaurant in the Park is at the Alpine Visitor Center. Pack a picnic lunch, or stop for take-out before entering the Park for the day so that you don’t need to stop your adventures and exit the Park to eat. Wondering about Trail Ridge Road or Old Fall River Road status for a drive up to the Alpine Visitor Center on top of the Park? You will be crossing the Continental Divide at over 12,000 ft elevation. It’s the highest continuous paved road in the United States and normally opens Memorial Day weekend, through mid-October, weather conditions permitting. Call the recorded Trail Ridge Road status line at (970) 586-1222. To keep your little ones interested and busy, the park offers free colorful Junior Ranger booklets at a variety of park facilities. There are three booklets – 5 and under, 6 to 8, and 9 and up. The booklets are filled with fun kid activities. The Junior Ranger Headquarters is located at Hidden Valley from June 22 through August 18. Program times are 10 a.m., 11:30 a.m. 1 pm and 2:30 p.m. daily. Contact the park’s Information Office at (970) 586-1206.